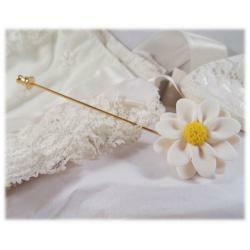 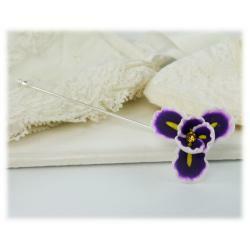 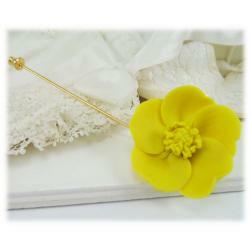 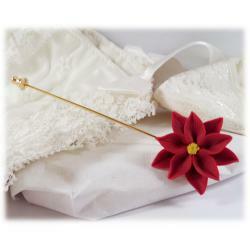 This handcrafted Camellia lapel pin offers a choice of a silver tone or gold tone stick pin or brooch pin. 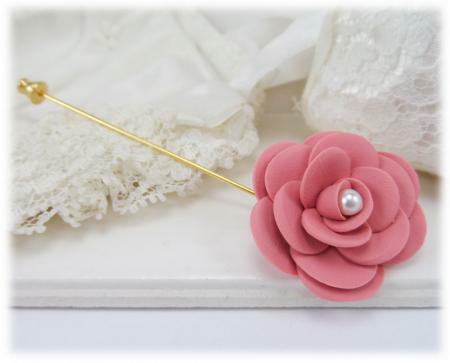 Faux pearl center. 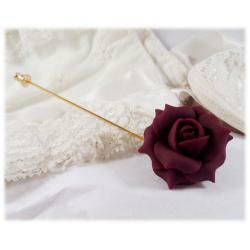 The Camellia is available in many colors. 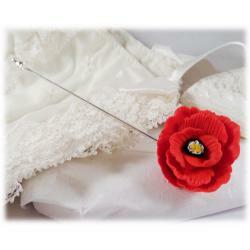 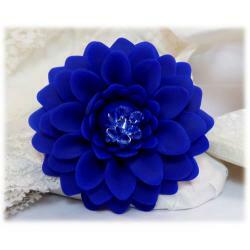 Makes a beautiful gift for anniversary, bridesmaids or birthday.